Compare various home loan offers from various vendors. 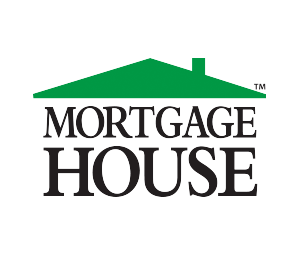 Choose the best mortgage house loan with low interest rate that suit your needs and save time & money. Interest rates, comparison rates and repayment amounts are supplied by the provider based on a $150,000 loan over a 25 year term. *Rates as at 6 March 2019 for Smart Home Loan up to 80% LVR owner-occupied security with P&I repayments with a maximum loan amount of $1,000,000. See important terms and conditions for Smart Home Loan here. The comparison rate is based on a $150,000 loan over 25 years. Warning: this comparison rate is true only for this example and may not include all fees and charges. Different terms, fees or other loan amounts might result in a different comparison rate. Lending criteria, fees and conditions apply. Rates, fees and conditions are indicative, available for new loans only and subject to change without notice. Avoid high-interest repayments, transfer your debt into this one low-interest rate home loan and start saving. Up to $1,000 off your loan upon settlement. This is intended as a guide only. Details of terms and conditions, interest rates, fees and charges are available upon application. Mortgage House’s prevailing credit criteria apply. Please note that your actual fortnightly repayment would be equal to the monthly repayment amount divided by two. Weekly repayments would equal the monthly repayment amount divided by four. If you choose to pay fortnightly or weekly, your actual repayments will be higher than repayments shown on this page. You can reduce the term of your loan if you choose to make repayments fortnightly or weekly. We recommend you seek independent legal and financial advice before proceeding with any loan. Variable & comparison rate for new Owner Occupier Principal & Interest loans of between $200,000 & $700,000. Includes discount offer. Normal lending criteria applies. Rates, repayments & interest charges are indicative only & subject to change. *The comparison rate & the monthly repayment amount are for comparison only & are based on a secured loan of $150,000 over the term of 25 years. Our home loan term is 30 years & monthly repayment based on a secured loan of $150,000 over the term of 30 years is $681. WARNING: This comparison rate is true only for the examples given & may not include all fees & charges. Different terms, fees or other loan amounts might result in a different comparison rate. Costs such as redraw fees or early repayment fees, & cost savings such as fee waivers, are not included in the comparison rate but may influence the cost of the loan. UBank is a division of National Australia Bank Limited ABN 12 004 044 937 AFSL and Australian Credit Licence 230686. Sometimes simple is best – get home without the drama with ME’s Basic Home Loan. One low variable rate, no application fee and zero monthly account-keeping fees. If only everything was this simple. (1) New customers only (2) Comparison rate based on a home loan of $150,000 for a term of 25 years. WARNING: This comparison rate is true only for the examples given and may not include all fees and charges. Different terms, fees or other loan amounts might result in a different comparison rate. Australian Credit Licence 229500. A home loan rate that’s beyond great. Whether you’re shopping around for a new home loan or switching to a different home loan provider so you can save some spare cash, Beyond Bank's Special Low Rate Variable Home Loan could help you save thousands. Need more reasons? No upfront or ongoing fees^, free online redraw and unlimited additional repayment and 100% offset account. ^There is no establishment fee, settlement fee or monthly fees on this interest rate. Valuation fees and other fees (such as government charges) may apply. *Special Low Rate Variable Home Loan is only available to new loans or increases to existing loans when the minimum new borrowing amount is $150,000 and the LVR does not exceed 80% on eligible owner occupied home loan products. No package or other discounts will apply to the advertised rate. Offer available for a limited time only and may be withdrawn at anytime. Split loans, land rent loans, interest only loans, loans requiring multiple security and building loans are not eligible. Terms, conditions, fees, charges and normal lending criteria apply. The comparison rate is calculated on a $150,000 loan with monthly repayments over a term of 25 years. WARNING: This comparison rate is true only for the examples given and may not include all fees and charges. Different terms, fees or other loan amounts might result in a different comparison rate. Interest rates are subject to change without notice. All loans are provided by Beyond Bank Australia, a trading name of Community CPS Australia Ltd ABN 15 087 651 143 AFSL/ Australian Credit Licence 237 856. Extra low interest rate for refinancers - 100% full offset account - Extra repayments and redraw services - Free redraw facility.